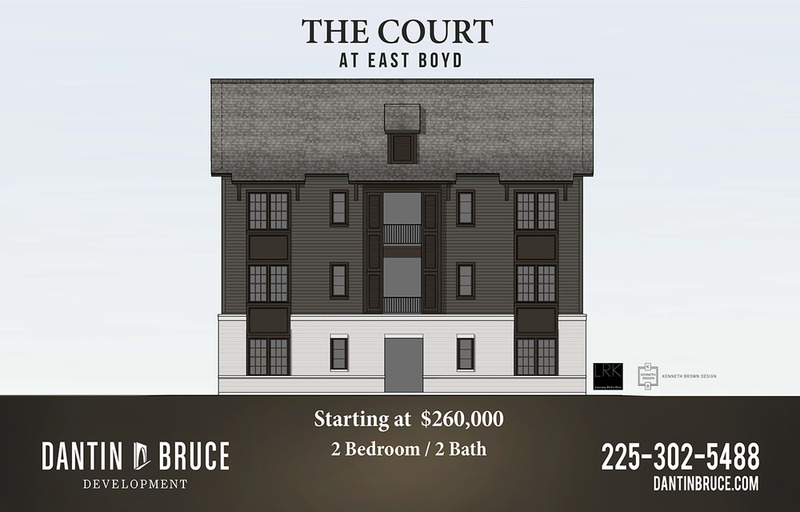 The Court is a 6 Unit, residential-condominium development on East Boyd Drive, between Burbank Drive and Highland Road and only one block from LSU Bus Stop. The 2 Bedrooms 2 Bath development is positioned outside the South Gates of LSU and is within walking distance to the university, restaurants and shops. This infill development offers new upscale housing with a contemporary flare. Thoughtfully designed and complimented with exceptional finishes, easy for you to create a space that is comfortable, personal, and uniquely yours.